Set up a Job Alert to be notified when Maryville University posts new jobs. Maryville University is a selective, comprehensive and nationally ranked private institution with more than 6,400 students. Maryville offers more than 100 degrees at the undergraduate, masters and doctoral levels to students from 50 states and 47 countries. Consistently ranked as a top private school by Forbes and Kiplinger’s, Maryville was named the No. 1 Overperforming University in the nation by U.S. News & World Report for the past two years. Maryville’s athletics teams compete in 18 men’s and women’s sports at the Division II level in the Great Lakes Valley Conference. Founded in 1872, the University is ideally situated on 130 picturesque acres in West St. Louis County. No. 13 in National Collegiate Scouting Association’s 2013 Collegiate Power Rankings. Scores from are calculated for each college/university at the NCAA Division I, II and III levels by averaging the Learfield Sports Directors’ Cup ranking, the NCAA student-athlete graduation rate of each college/university and the U.S. News & World Report ranking. Maryville University is one of only three St. Louis institutions in the National universities category to achieve ranked status in U.S. News & World Report’s Best Colleges- 2013 publication. Maryville University’s 100% four-year graduation rate for student athletes made it the only university in the U.S. to receive the NCAA Division II Presidents Award for Academic Success in 2013. Maryville University is ranked 35th on U.S. News & World Report’s first ever “Best Colleges for Veterans” list for 2014. Maryville was among more than 280 universities initially considered for inclusion. G.I. Jobs magazine has named Maryville a “Military Friendly” school for the past three years, and Military Advanced Education has named the University a “Top School” in its 2014 Guide to Military Friendly Colleges & Universities. Maryville University’s Gander Dining Hall has won a four-star rating by the Green Dining Alliance of St. Louis for fully embracing “norms for sustainable restaurant management and operations.” Maryville’s campus dining facility is the first in St. Louis to win the certification. Maryville University offers a competitive benefit package for all full-time employees in order to ensure a quality employment experience. Here at Maryville University students tell us they aren’t just enrolled here, they truly live Maryville. And like them, you’ll be busy at Maryville! With more than 50 student organizations; an active student government; intramural sports; a full calendar of campus happenings – fairs, live performances, casino nights, barbecues, open mic sessions, comedians and talent shows, just to name a few; plus a multitude of St. Louis museums, sports, parks and restaurants within 20 minute’s drive time, you’ll find plenty to do outside the classroom. Diversity Awareness Partnership, the St. Louis Cardinals and Maryville University will distribute more than 2,500 posters to schools and businesses throughout the St. Louis metropolitan area to promote the value of diversity and inclusion. With this concept in mind, the St. Louis Cardinals seemed like the best choice to allow this campaign to have the greatest amount of relevance. Maryville University President Mark Lombardi said the posters and billboards will be well received as students return to school. Cisneros Design in Santa Fe, NM, designed the imagery for the “Diversity Double Play” campaign. 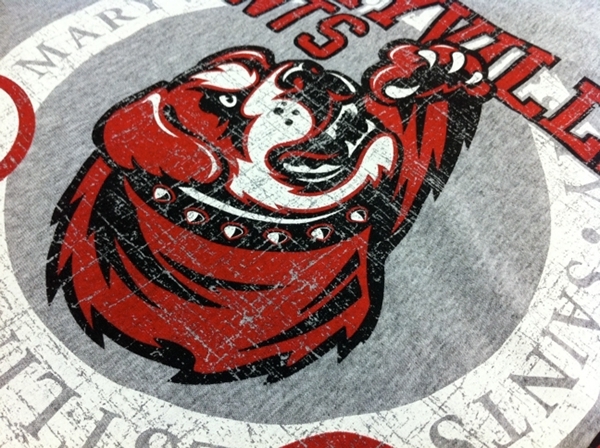 The firm also provides services to Maryville University. In addition to the poster series, the Diversity Double Play message will be extended to area billboards. Through August, this billboard is featured on Interstate 40 east; in September it will move to a location on Interstate 170. Since 2002, Diversity Awareness Partnership has distributed awareness posters to St. Louis businesses and schools to raise awareness of cultural diversity and how differences make St. Louis a more valuable city. Since inception, Diversity Awareness Partnership, through their Diversity Sports Poster series, has partnered with St. Louis’s sports teams – the Cardinals, Rams and Blues – in addition to corporate sponsors. Previous sponsors include Wells Fargo Advisors and Microsoft. 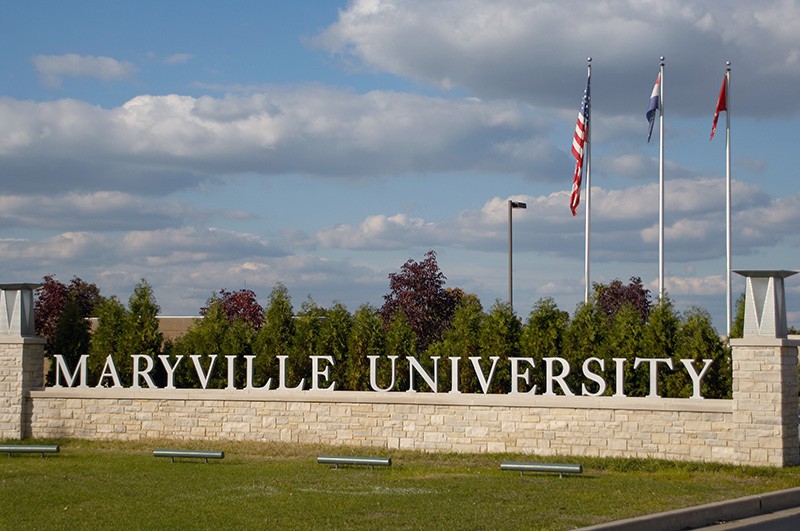 Maryville University is the primary sponsor for the 2013 campaign. For more information on the Diversity Double Play campaign or to request a poster, visit dapstl.org. Diversity Awareness Partnership is a 501(c)(3) non-profit organization dedicated to promoting diversity in the St. Louis region around issues of race, religion, disability, sexual orientation and gender identity. We achieve our mission through youth programs, diversity training, community forums and diversity publications. The St. Louis Cardinals (www.cardinals.com) are one of the most storied franchises in all of baseball. Since they joined the National League in 1892, the Cardinals have won more than 9,300 games, 11 World Series Championships and 18 N.L. Pennants, 3 N.L. Eastern Division Titles, 8 N.L. Central Division Titles and 2 N.L. Wild Card Titles. Over 40 former Cardinals players and managers are enshrined in the National Baseball Hall of Fame. Reporters & editors: For more information, please contact: Antionette Carroll at the Diversity Awareness Partnership, acarroll@dapstl.org, 314.246.3145; or Janet Edwards, Editorial Content Specialist, Marketing and Community Relations, 314-529-9347 (office), jedwards@maryville.edu, 314-249-7982 (cell). Get in the know with all of the news that is occurring in and around Maryville University! Check back to our news page for all of the latest information! Find all the information that best suits your needs for getting connected with Maryville University. Maryville University is one of the outstanding private universities in the Midwest offering an innovative liberal arts education leading to excellent academic and professional programs in the Arts and Sciences, Health Professions, Education and Business that prepare students for a life of engagement and achievement in multiple fields of endeavor. Provide a learning environment where teaching and mentoring students is at the center of everything that we do. Provide an innovative liberal arts foundation for all of our students. Provide selective and cutting edge programs in the Arts and Sciences, Health Professions, Education and Business. Reflect the cultural diversity of the global community and build global awareness and understanding through myriad international programs. Make the values of ethical leadership, civic engagement, and sustainability prominent aspects of the student academic, co-curricular and spiritual experiences. Build a vibrant campus community through outstanding co-curricular programming, athletics, cultural events and intellectual exploration. Maintain a collegial environment embracing the values of academic freedom, fiscal responsibility and participatory university governance. Engage students in greater metropolitan St. Louis, serving the communities’ needs and providing our students with varied internship and service learning opportunities. Empower students to achieve their career goals and be successful participants in the global marketplace. Provide comprehensive programs for non-traditional students that empower their lives and uplift their career goals. Provide a community where civil discourse and mutual respect are values and actions shared by all. Maryville University will be one of the outstanding private universities in the country offering an innovative liberal arts education leading to excellent academic and professional programs that prepare students for lives of achievement, global awareness and civic engagement.